MountainMuttDogCoats Boulder® makes winter dog coats and designer dog sweaters for the active dog, older dogs and post op dogs who need special care. Our dogs coats are handmade and can be custom made from top quality technical* fabrics such as fleeces and softshells as well as leather for warmth in the winter. 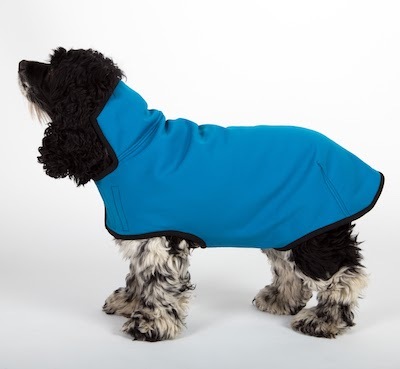 These designer dog coats are generously cut, warm, water-resistant and lightweight. All our winter dog coats and sweaters are specially crafted to fit the dog comfortably. We will help you choose the right size and do minor alterations for free. Our company was inspired by Mac who was diagnosed with bone cancer in September 2009. After being shaven for surgery Mac needed a really warm coat that fit him properly. His comfort and the needs of the many other cancer patients we saw at the Flint Animal Cancer Center at CSU showed us that there were old, ill and short-haired dogs that needed well-designed coats to get through our harsh Colorado winters. They needed coats that fit properly and offered protection from the elements. Each year we donate 5% of sales to the Flint Animal Cancer Center. We donate coats to needy dogs and rescues around the USA. *Technical fabrics are lightweight fabrics which are engineered to perform various functions for the wearer. Unique properties are engineered into each fabric including strength and stretch, density, resistance to wind and water, retention of warmth, elimination of unwanted moisture, and shrinkage. Hey Whole Dog Journal! Thanks for the good review on our coats and for rating our Powershield Coat in the 4 Paw category, the highest rating! And especially for your comment about superb customer service. We are here to help you get exactly the right coat and fit for your dog. Our coats are handmade in Colorado and are custom or customized for the wearer. Our aim is to make sure your dog is warm and comfortable. Our chest and tummy panels are wider than most. The backs are longer. Our long, low shoulder openings are designed for maximum warmth and can be made to fit your dog’s individual shape. We even make coats with extra-long backs that cover the hips and thighs. We will help you measure correctly. 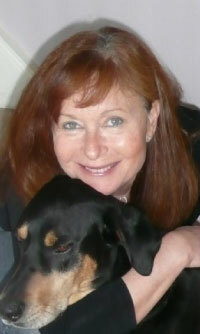 Take full advantage of our great customer service and get exactly the right coat for your dog. Don’t forget; WE DO ALTERATIONS FOR FREE.